The rundown: This race is down to twenty-one contenders. I’ve seen five of them at this point, including the top two most likely inclusions, Frankenweenie and Brave. I think that both Wreck-It Ralph and Rise of the Guardians should have enough momentum to make it too, but the fifth Golden Globe nominee, Hotel Transylvania, probably won’t. That leaves the door open for a conventional choice like ParaNorman or The Lorax, but I think that, like last year, some love will go to foreign fare, like The Rabbi’s Cat or The Painting from France or From Up on Poppy Hill from Japan. 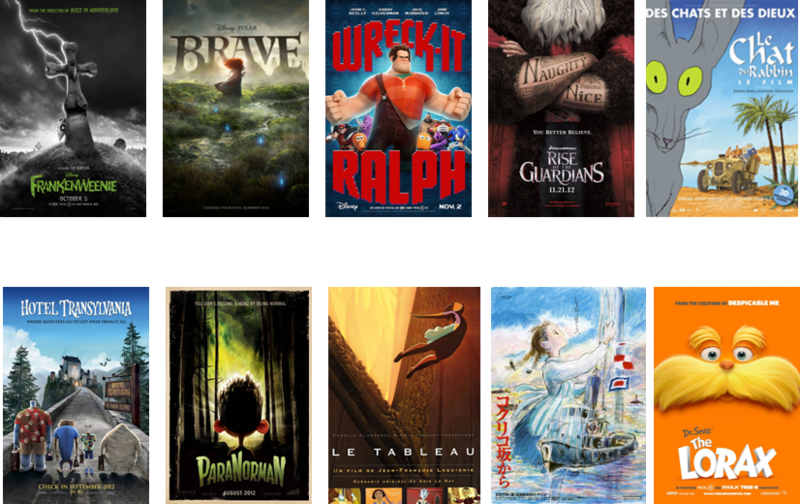 One possible crazy scenario: People really don’t like Pixar anymore and “Brave” gets snubbed.